LOCATED in one of the Coast's most sought after residential areas, the Golden Triangle, this contemporary designed home is over three levels on a 835sqm north-facing allotment. 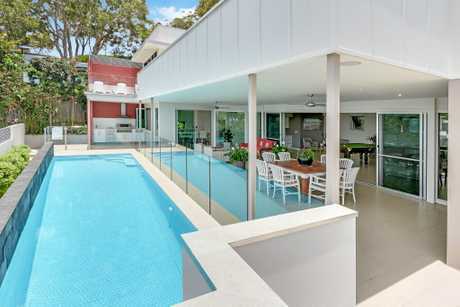 With an area of 587sqm, this home was built for space and flows seamlessly from the open plan living and dining to the magnificent entertainment area and pool. The spacious living area has a TV entertainment area at one end, pool table in the middle and a bar with an integrated drinks fridge at the other end. With views to the patio and pool, this is a fabulous room for entertaining. that is fully weather proof and allows cooking at any time. The solar heated 11m pool is on the second level opposite the patio area. . Attractive polished timber stairs lead up to the private master suite with superb northerly ocean views. The private balcony overlooks the pool and Alexandra Headland. The ground level of the house incorporates a guest room with ensuite and separate entry. Currently used as a commercial office, it can also be locked off from the rest of the house if required. There is a terraced media room with seven reclining media chairs, a large screen with eight speakers ensuring the viewing experience is the best there is. Air conditioned with bar facilities, the room is well insulated and sound proof. Apart from triple lock-up garaging, there is also a storage area. The courtyard provides extra parking for another three cars and is secured by an automatic gate. Off from the garage is an insulated, air conditioned wine cellar, that holds up to 340 bottles. The home is fully air conditioned by three large multi-head Daikin split systems. A Panasonic PABX allows easy contact between the rooms and the front gatehouse. The home is wired with smart wiring, with two switches capable of shutting down all of the house lights. This home is ideally located just an easy walk to the Alexandra Headland surf beach, Alex Surf Club, shops and restaurants. 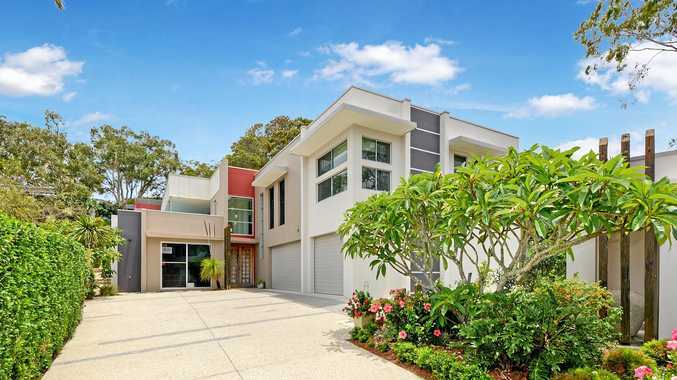 The central location is a highlight of living in one of the Sunshine Coast's most sought after residential areas. Features: Study, theatre room, enormous lounge room, and covered patio overlooking lap pool.